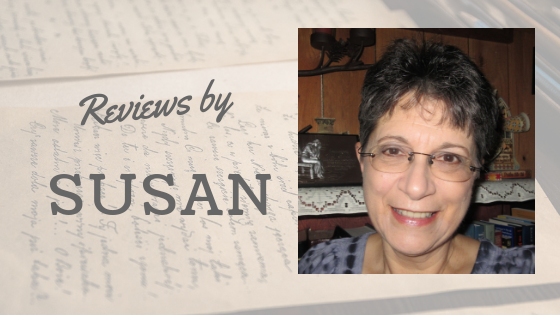 I have sincerely looked forward to Julie Klassen's final of her Tales from Ivy Hill series. I certainly have thoroughly enjoyed reading each book. In fact, I have read all her books, not just this series, and have never been disappointed in one of them. Mercy Grove has lost her precious girls' school and has simply resigned herself to life as a spinster dependent on the kindnesses of her family. When her brother returns to Ivy Cottage with his new wife, things just don't seem like they will guarantee a pleasant future. And Jane Bell is also facing some challenges in her own life. Can she give up her inn if it means marrying Gabriel Locke? Can she doom him to a childless marriage? In the midst of all this, a new seamstress comes to town and all it not as it seems with this lady. Surprises lie in store for many here and dreams are on their way to coming true. I laughed and wept during the reading of this book. 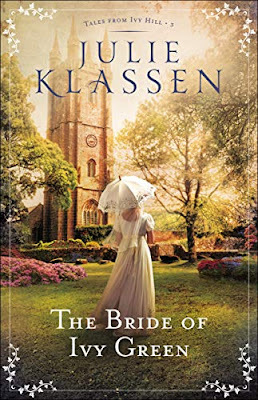 Julie Klassen has brought this series to an end in a most admirable, satisfying and delightful way. I enjoyed it tremendously. Highly recommended. *My thanks to Bethany House and the author for a copy of this book. All opinions stated are entirely my own. I'm way behind, Susan, but fell in love with her writing when I read The Lady of Milkweed Manor! Like a lot of us!